I wanted to commemorate the February passing (I only learned of it this morning via UVA Magazine) of Robert Fair, Virginia Glee Club 1946-1947, associate dean at the Darden School, WWII veteran, and member of the first incarnation of the VGCAFA, the Virginia Glee Club Advisory Board, in the mid-1990s. Bob Fair was a mentor to Larry Mueller and brought a lot of wisdom to our meetings in Newcomb Hall as we worked to figure out how we were going to grow the then-$200K endowment to support the needs of the Glee Club. Bob was wise, funny, and more than happy to share his wisdom when asked. I’ve been fortunate enough to have learned from some of the finest men and women in the world. Hats off for Bob Fair and much gratitude for all he did. Bonus: Bob’s oral history of his early life and World War II makes for a riveting read. Stereogum: Blind Boys of Alabama Leader Clarence Fountain Dies at 88. Here’s my review of their performance at WOMAD US 2001. New York Times: Johan Botha, Operatic Tenor, Dies at 51. I woke this morning to news of the great tenor’s untimely demise in my Facebook feed. I sang on stage several times with Botha during the James Levine era at the Boston Symphony Orchestra, where he was on tap for the most heroic roles: Waldemar in Schoenberg’s Gurrelieder, Florestan in Fidelio, Walter in Meistersinger. His was a magnificent voice: as I wrote in 2007 about his Florestan, his voice could convey both sheer power and powerful emotion. His rendition of the “prize song” from Meistersinger has always stayed close to my heart for its sheer magnificence. And, of course, in this miserable 2016, the cause of death was cancer. It was just six weeks ago that he headlined a cancer fundraiser in South Africa at which he was prominently billed as a “cancer survivor” and having been given a “clean bill of health.” That performance now stands as his final bow. The video at the top is an audience film of the intermission bow from the 2006 Symphony Hall performance of Gurrelieder under James Levine, featuring Karita Mattila, Lorraine Hunt-Lieberson, and Botha. The latter two have been taken from us, both by cancer, and Levine himself will never again walk as nimbly as he does in this footage. It’s a sobering reminder that none of us are allotted much time. In the late summer of 1994, twenty-two years ago, I was recently graduated from the University of Virginia and desperately missed singing. I had sung in the Virginia Glee Club for four years and hoped that I could find a similar experience in a chorus in Washington DC. I didn’t find something similar, but I did find J. Reilly Lewis. Several other Glee Club members had sung in Reilly’s Cathedral Choral Society and spoke highly of it. I had fond memories of the National Cathedral from a young chorister’s field trip when I was in elementary school. It seemed like a good idea. A few weeks later, I was frantically studying my score on the Metro and wondering if I had lost my mind. You see, I had been exposed to comparatively unusual repertoire as a Glee Club member: lots of Renaissance and medieval music, some modern works (my lifelong love of Arvo Pärt’s music dates to the 1992 Tour of the South), spirituals and Virginia football songs. But very little of the symphonic repertoire for chorus. We had sung a few works in collaboration with other choruses: Mahler 2, the Fauré Requiem, the Duruflé Requiem, and Orff’s Carmina Burana. But that was about it. So imagine my surprise when the first piece we sang was Beethoven’s Missa Solemnis, a challenging work even for mature singers, much less someone straight out of college. Piling on the difficulty, I had spent the summer unconsciously stretching my range, singing along to a lot of female singers (Tori Amos and Shannon Worrell among them). So when I auditioned for Reilly he cast me as a first tenor, not the second I had sung since high school. Suffice it to say I was in over my head. But I loved it. And I loved singing with Reilly. And that made up for a lot. Reilly was a musician’s musician. Unlike many conductors I’ve sung with since, he had a keen appreciation for the possibilities and limits of the human voice. He liked to lead us in a warmup borrowed from Robert Shaw in which we sustained a four or eight part chord on a neutral vowel, then shifted to a bright “ah” and heard the harmonic overtones bloom forth in the resonant acoustic of the Cathedral. He led us in other Shaw-inspired exercises over the years: lots of staccato on “doo,” the occasional marching-while-fuguing to ensure that we locked in the parts and could keep the rhythm, and other slightly crazy exercises. He was almost unflappable, so much so that when he lost his temper at a soloist who didn’t make it for a dress rehearsal it was striking. But most of what I remember singing with Reilly was the repertoire, and the musicians, he introduced me to. I sang my first Mozart, Brahms and Verdi Requiems with him. 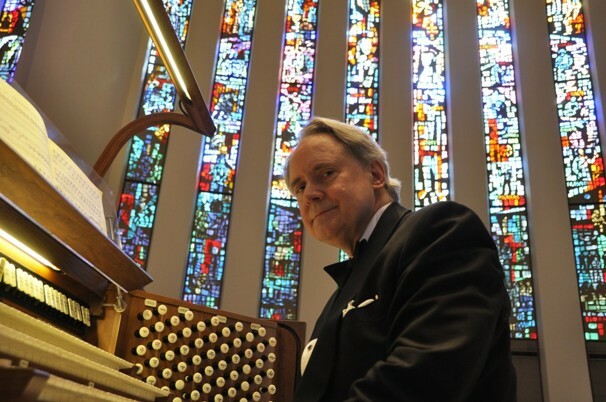 I will always remember the Modern Mystics concert we did in 1997 or 1998, with music of Tavener, Gorecki and Pärt—in particular the Pärt set (“Solfeggio,” “Cantata Domino canticum novum”) that we sang in the side of the nave next to the positive organ. Copland’s “In the Beginning” from the balcony under the rose window in the rear of the nave. The Bach St. Matthew Passion. And the Christmas concerts. For a man who legendarily had difficulty choosing Christmas music—he associated the season with the death of a family member—he put together some stunning programs, including the Pärt Magnificat, the Tavener “God is With Us” and “Thunder Entered Her,” Kenneth Leighton’s spine tingling setting of the Coventry Carol, and many more. Inevitably, too, I remember the disappointment when I told Reilly I was taking a leave from the Cathedral Choral Society. I had started singing with the Suspicious Cheese Lords—I was never a founding member, but joined a few months into the group’s existence and found there repertoire that I had missed, starting of course with the Tallis Lamentations of Jeremiah. And I was working crazy hours and newly married and applying to business school. We discussed it over dinner at the Lebanon Taverna. He was so completely consumed with music that he couldn’t understand why I, and other young singers, would want to back out and let our lives be consumed with other things. I hadn’t seen him since I left Washington. Now I won’t see him again until we meet together with Bach, and Brubeck, and Shaw, and Sir David, and all the others on the other shore. 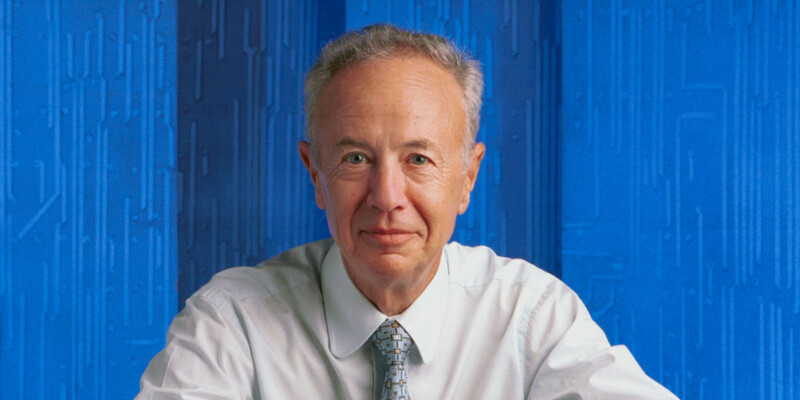 CNN: Andy Grove, former Intel CEO and personal computing pioneer, dead at 79. It’s worth taking a second this morning to think about why we remember what Andy Grove did when other pioneers of silicon are mostly forgotten. Motorola, Texas Instruments and others built chips. Andy built an ecosystem. While Wintel may rightly be regarded as an example of a noxious monoculture, mostly because of the Windows side of the equation, Andy recognized the potential for personal computers and ensured that they would run on his chips. And he recognized that Wintel was only one ecosystem that could have been built with Intel as its foundation—witness his convincing Steve Jobs to shift the architecture of Macs away from PowerPC to Intel chips in 2006. I had an opportunity during the 2001 MIT Sloan Tech Trek to meet Andy. He spoke with a bunch of MBA students for a few minutes, and took questions. He struck me as a long thinker, so I asked him a long thought question: how long could Moore’s Law continue to hold before the physics of small matter caused it to bottom out? He was airy as he said it was a “20 year problem.” And he was right: he knew that there was plenty of room to continue innovating on the silicon. He didn’t say it, but I suppose he was more focused on the business of the ecosystem; even then you could read the writing on the wall that the antitrust suit, a resurgent Apple, and mobile computing were about to take the wind out of Microsoft’s sails. I don’t know that I’ll ever get to talk to a more brilliant man (not counting Bill Gates, but I never got a chance to ask him any questions as an intern). Rest in peace. I learned this morning that a Virginia Glee Club friend, Steve Bognaski, died two months ago on Valentine’s Day of a heart attack. He was 38, and left a wife and two children. I’m kind of flabbergasted. Steve always was one of the most bighearted guys I knew, full of life, a dedicated singer, and capable of highly vocal joy. It doesn’t seem fair that he’s gone. I count myself fortunate that I was able to meet up with him when I was in Charlotte in September 2007 for the iTSMF show. He was excited about his family’s upcoming move to Suffolk, Virginia. I am sorry I didn’t see him more often in the time since graduation. I was two or three years out of college when I first listened to Isaac Hayes seriously. I had picked up Shaft in college but, aside from the title track, it didn’t speak to me. I mean, flutes? Really? I just couldn’t get past the instrumentation. I knew there was something funky there but it wasn’t finding me. And then I picked up, for some unknown reason, the soundtrack to Stealing Beauty, which leads off with Hoover’s (later Hooverphonic’s) “2 Wicky.” I was never a big Hooverphonic fan, but “2 Wicky” set off all kinds of bells in my head, primarily because of the opening, which I knew had to be sampled from somewhere. I did some digging and found it had come from the lead off track on Isaac Hayes’s Hot Buttered Soul, an album I had always assumed was a goof like Shaft. But I was hooked on that opening guitar + backing vox riff, so I picked up Hot Buttered Soul. That weekend I was driving around Raleigh, North Carolina, with some college friends–we were there for a wedding–and I couldn’t pull the disc out of my car player. I must have played “Walk On By” and “Hyperbolicsyllabicsesquedalymistic” about a hundred times that weekend. The album was so over the top, so drenched in drama and sound, but somehow it touched the same funky center, breathed the same groove, as the Parliament and James Brown that I had been marinating in for the previous four or five years. And it reached deeper than those cuts in some ways–Hayes projected a pain and vulnerability that you’d never hear from the Godfather of Soul. I was smacked sideways when I heard yesterday about Isaac Hayes’s death. It seems like someone who touched the human condition so deeply shouldn’t be allowed to go so quickly.